Here is a summary of the business surveys on IP protection in China, drawn from the European Chamber of Commerce in China, Business Confidence Survey 2015 (June, 2015), the US China Business Councils’ 2015 USCBC China Business Environment Member Survey (Sept. 2015), the American Chamber of Commerce 2016 Business Climate Survey (“Amcham China” Report, Jan. 2016), and Amcham Shanghai’s 2016 China Business Report (“Amcham Shanghai” Report, Jan. 2016), and others. While IP issues are less dominant than in recent years, businesses report that IP is still critical to them. When Amcham China respondents in all sectors addressed what they considered their competitive advantage versus Chinese domestic entities, three of their top four perceived advantages were IP-related: Brands (74%), Technology & IP (63%), and Development and Innovation (59%). USCBC respondents listed IP concerns in a number four priority slot, having dropped from number 2 in 2014. However IP issues have averaged as a number 4.5 priority over the past ten years, so the drop is not that significant. According to Amcham Shanghai’s survey, 49% of respondents believed that lack of IPR protection and enforcement constrains their investment in innovation and R&D in China. Still different IP concerns vary in their impact on different businesses. For example, tech companies in the USCBC survey noted the following IP-related issues in their top 10 challenges: Innovation policies (number 2), IPR enforcement (number 5), cybersecurity (number 6), government procurement policies (number 7), standards and conformity assessment (number 8) and antitrust/antimonopoly law (number 10). On the brighter side, 91% of respondents of the Amcham survey indicated that IPR enforcement had improved over the past five years, a view that was generally shared by USCBC respondents (38% reported some improvement over the past year). USCBC’s survey addressed the most viable options for IP enforcement: administrative enforcement had a slight edge in terms of viability in some or most cases (78%), followed by civil cases (70%) and criminal courts (57%). The data also suggests that trade secrets will be of continuing concern. Amcham China respondents were least satisfied with trade secrets legislation and enforcement (45/40%). Amcham China respondents were most satisfied with patent legislation and patent enforcement (66%/54%), followed by trademarks (62%/51%) and copyrights (57%/48%). USCBC respondents similarly rated trade secrets as their top area of concern (32%) followed by trademarks (28%), patents (22%), and copyright (9%). Of particular importance for trade secret protection are challenges noted in responses to surveys in attracting and retaining talent. According to the Amcham survey, among the principal challenges in attracting the right talent were competition from local businesses (45%), and competition from other foreign businesses (34%). Data security and cybersecurity were also identified as concerns by many surveys. Innovating in China has clearly become a priority for the foreign business community. The EU Chamber notes that China R&D centers are increasingly achieving global levels of innovation, although a large percentage (42%) are primarily focused on product localization. According to USCBC, about 43% of large member companies had established an R&D center. European companies viewed innovation as one of five most critical drivers needed to move the Chinese economy up the value chain. The USCBC report notes that more than 9 out of 10 US companies believe that innovation in China will be critical to their company’s future in China, with 40% of the companies reporting that that half their profits came from products designed, developed or tailored to local requirements (an increase from 32% last year). Companies prioritizing investment in R&D, according to the Amcham Shanghai survey, were in hardware, software and services (81%), automotive (65%), industrial manufacturing (55%) and health care (35%). USCBC reported that 59% of respondents expressed concern about transferring technology to China. Twenty three percent of USCBC respondents advised that their company had been asked to transfer technology to China and that central or local governments had requested the technology transfer 60% percent of the time. Concerns about technology transfer included maintaining protection of the proprietary information during certification/ approval (83%), protection of IP (75%), enforcing license agreements (51%) and the government dictating or influencing licensing negotiations (32%). Nonetheless, according to USCBC, technology transfer concerns fell out of the top twenty this year, to number 23 out of 30. However the USCBC noted that the companies impacted by this issue felt it “very acutely”. Thirty two percent of technology and other R&D Intensive industries that responded to the Amcham China survey indicated that China’s increasing capability for innovation presented an important opportunity for their business. However, as the preceding data suggests, not all of China’s innovation and IP policies have been perceived to be positive by foreign industry. Fifty-five percent of USCBC tech companies stated that China’s innovation promotion policies had a significant negative impact on sales to date, or had a significant negative impact on sales or operation. Also of note was that 75% of USCBC respondents indicated that they limited the products that they introduced into China because of IPR concerns. In addition, 37% of USCBC respondents indicated that China’s level of IPR enforcement limited R&D activities in China, as well as limited products co-manufactured or licensed in China. The Amcham China survey also noted that 83% of technology R&D intensive companies feel less welcome than before. Eighty percent of USCBC respondents were concerned about antimonopoly law enforcement in China. Among the key substantive issues were: (a) lack of transparency in AML cases (55%), excessive focus on foreign companies (50%), lack of clarity on key criteria and definitions (49%), lack of due process (29%), and inability to have legal counsel (26%). One common thread amongst antimonopoly and IP concerns was rule of law. The EU Chamber Report contains the most information on desires of foreign companies for the Chinese government to improve the rule of law, with 39% of European businesses rating the Chinese government’s efforts in 2015 as “below expectations”, and rule of law perceived as the main driver of future economic growth by 78% of respondents. For Amcham China, 57% of respondents believed that inconsistent regulatory interpretation and unclear laws were their top business challenge in China. Legal reforms were identified as the top reform priority by Amcham Shanghai members. USCBC respondents rated uneven enforcement of Chinese laws, as their number nine challenge, however companies reported that the problems are persistent and worsened in the last year. There are other reports that have been released have recently been released that also place China in a comparative perspective. The Information Technology & Innovation Forum, for example, recently issued a report Contributors and Detractors: Ranking Countries’ Impact on Global Innovation, which ranked 56 nations on how much they contribute or detract from global innovation. China ranked 44, and was classified as an “innovation mercantilist” that “significantly balkanize[s] both global production and consumption markets” and has “generally weaker protection” for intellectual property than the global norm. However, China does perform better than “innovation follower” countries in contributing to the global innovation ecosystem, largely due to investments in STEM fields and high numbers of graduates in those areas. China ranked twenty eight out of fifty six in terms of contributions, and was among the top five detractors from global innovation, according to this report (behind Thailand but ahead of India, Argentina and Russia). Thomson Reuters in its China’s IQ (Innovation Quotient) Report (December 2015) analyzed China patent filings. The IQ Report noted that citations of Chinese patents had increased. In data processing patents, China had forward citation data of 1.17 This was much less than the United States (6.72), but comparable to Japan (1.82), and Europe (1.31), and better than South Korea (.78). Interestingly, another Thomson Reuters report on the top 100 innovators (2015), declined to include a single Chinese company. Huawei did appear as a top innovator in 2014. Its antitrust adversary, InterDigital, was considered a top innovator in 2015. The USCBC’s Board of Directors recently outlined its priorities for the year, which included: strengthening IP enforcement, including deterrent civil and criminal remedies; improving enforcement against online infringements; strengthening trade secret protections; harmonize patent examination practices; reforming China’s system of innovation incentives (HNTE incentives/service inventions). Other USCBC recommendations in transparency, antimonopoly law, and ecommerce also have IP-related implications. There may be a number of reasons for the repetition in these reports, including a common core of concerns, a focus on issues in the media and bilateral relations, and common membership among the organizations. The location and membership of each organization can still result in different perceptions. Moreover, certain rights, such as copyrights, tend to be of core concern to fewer industries some of which, such as the entertainment sector, may be less extensively invested in China. As such, the surveys reflect concerns and priorities, and may not necessarily represent researched approaches to resolving specific problems of concern to all American industries. The surveys may also not align well with China’s own surveys such as on software piracy, where China has offered a counter-survey that counts other incidences of piracy, or on satisfaction with China’s IP system. As for satisfaction at least, it is all subjective. In some cases, the survey data likely aligns well with other factual or empirical data, such as licensing revenues, damages in antimonopoly law cases, IP enforcement activity, etc. China’s IP laws are generally good and its enforcement is improving but still problematic. China has become deeply interested in patents and innovation, which will present important strategic opportunities over time. There remains a low level of confidence in trade secret protection in China, which can be a significant impediment to China’s innovative ecosystem. China’s innovation environment has become increasingly complex and nationalistic, leaving many foreign tech companies with a sense that they are less welcome. Reforms in the legal system and antitrust enforcement are a high priority. Any corrections or comments? Something I have missed? Please write us! On September 17, the Scotch Whisky Association announced a significant anti-counterfeiting victory in the Anqing Intermediate Court in Anhui Province. The case is Scotch Whisky Association vs. Anhui Guangyu Packaging Company Ltd., Wang Xuming and others (Trademark Infringement, First Instance) ,” 苏格兰威士忌协会与安徽广宇包装科技有限公司、王旭明等侵害商标权纠纷一审民事判决书.”(August 31, 2015) (（2015）宜民三初字第00024号). The case is available on line at the Chinese court website. This case appears to have involved the unauthorized printing of Scotch Whiskey packaging in the form of bottle caps, some of which appears to have been made available for sale on line through Alibaba.com. The court awarded damages of 100,00 RMB, and injunctive relief. The court found that the SWA had difficulties proving damages and therefor awarded what appears to be statutory damages, plus costs of 11,820 RMB. Damages may seem quite low, but according to the CIELA database, the average damages for the eight trademark infringement cases in the food and beverage area that they collected in Anhui Province (where SWA likely had to bring the case) was 6,000 RMB. The case has been picked up by the media. One article in the spirits sector noted that it was the second victory for Scotch Whisky, in addition to some additional recognition of its GI in Africa. Another article linked the victory to the Scotch Whiskey’s “historical granting” of a “Geographical Indication in 2010”which is “fully backed by China’s government through the GI”. Curiously, both of these articles refer, directly or indirectly, to the sui generis GI system which is administrated by AQSIQ and the Ministry of Agriculture, and failed to mention the role of trademark protection. This might lead one to suspect that the protection arose under China’s sui generis GI system,which the SWA has been actively promoting. However, China’s trademark system is much more fully developed in enforcement by comparison to the sui generis GI system, which lacks the full panoply of TRIPS-mandated civil, criminal and border remedies that attach to trademarks as intellectual property that may be granted to, and owned and protected by individuals and enterprises. As I read the civil decision, the basis for the civil enforcement action was the 2008 collective mark obtained by the Scotch Whisky Association in Trademark Class 33 (no. 5915031 for “ScotchWhisky”). Information on sui generis GI protection was, however, accepted as evidence of proof of the fame of the mark, although it had been introduced for its distinctiveness (evidentiary group 2, in the court’s decision). The court decision did not analyze in great detail issues such as the application of the newly revised trademark law, the role of statutory damages and proof of injury, and the role of the bottle caps in the export trade. A principal of the company,l Wang Xuming was, however, held jointly liable with the packaging company for paying damages. The caps were, according to one media report, used to produce counterfeit whiskey for sale in Burma. Information presented on police actions involving these defendants in prior years were accepted into evidence. According to the English press reports, additional police investigations are also possible. Altogether, this is a well-deserved victory for the SWA. In addition to vindicating the role of the trademark enforcement system, the case showed the impact of such hot issues as the efforts to better coordinate civil, criminal and administrative enforcement actions, address on-line sales, consider the impact of the new trademark law on pending cases, address transnational sales, successfully bring a case in the home court of a counterfeiter, and address those who contribute to the chain of counterfeit production. Congratulations to the SWA and its team! Note: Please send any corrections to the author (chinaipr@yahoo.com). This article consists of the author’s personal opinion only. Nearly 97% of the seizures by quantity involved infringement of trademark rights. Chinese Customs can also seize goods that infringe copyright and patents. The low level of copyright seizures likely reflects the increased incidence of on-line infringement. About 96.5% of the product seizures were on exports. Consumer Goods Dominate Seizures. Amongst suspected infringing goods, tobacco products, light industry, cosmetics, clothing, etc. dominated. There was also an adjustment in product mix compared to last year, with a decline in hardware goods, pharmaceutical, hats, telecommunication equipment, toys, and food products. Note that 44 percent of the seizures were tobacco related. The next largest single category was cosmetics and personal care products. Less than one percent was pharma products. Postal and sea shipments are principal channels. Postal shipments accounted for 80.2% of seizures, with an increase of 33% from past year. 96.3 percent of the seizures were made involving shipments by sea. Greater Diversity in Destinations of Seizures. Chinese Customs seized goods involving 153 countries and territories. Amongst these, the Middle East and Latin American had significant increases. By value the US was the second largest destination of seizures after Hong Kong. However many third world countries in Africa and elsewhere were in the top ten by value, quantity of products, and/or numbers of shipments. Brazil for example was number one for seized shipments. Seizure Activities Are Dispersed, but also Concentrated in Several Ports. Shenzhen, Shanghai, Ningbo and Hangzhou regions dominate by value of seized shipments. A) Train Chinese Customs on product identification. As most of Chinese customs seizures are ex officio, the report underscores the importance of advising Chinese customs on how to identify infringing products. Of course, the prerequisite to these activities is recording your rights with Chinese Customs. B) Work with on-line e-tailers. There are an increasing number of seizures coming from inland ports, where goods are likely being booked on line. Moreover, goods are being shipped to a diverse number of ports. The report suggests the importance of working with on-line e-tailers, like Alibaba, to take down shipments. C) Leverage cooperative agreements. Chinese Customs has numerous agreements with foreign countries, and has also been involved in several agreements to improve domestic enforcement, such as between Chinese customs and public security (police) authorities. Leveraging these cooperative agreements may help facilitate enforcement activity. D) Use enforcement resources strategically. Clearly some Chinese ports are more active than others. In addition, some products seem to be attracting more attention than others. Although seizures of counterfeit pharmaceuticals, auto parts and other health and safety items are relatively low, I believe there is still room to encourage Customs to focus on items where public health or safety are affected. Just recently the lunar calendar passed into the period of “Grain Rain”((谷雨, guyu) in China. This is a time of increasing temperature and high humidity, which is ideal for growing grains. The temperature also means that humans begin to swelter, and it is time to drink herbal “cooling teas” (涼茶, liangcha). 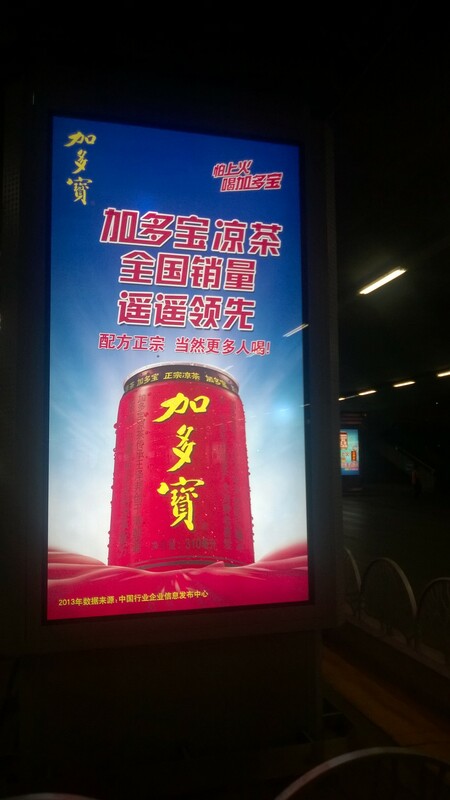 Cooling teas are now engaged in their own seasonal battle – one might say it is ambush marketing with Chinese solar calendar characteristics. The preeminent cooling tea is likely 王老吉Wanglaoji, which originated in the Qing dynasty, nearly two hundred years ago. The owner of that mark in China is a state owned Chinese enterprise in Guangdong. However, the formula, which has been handed down for generations, is arguably in the hands of another brand, Jiaduobao 加多宝 which used to be a licensee of Wanglaoji. 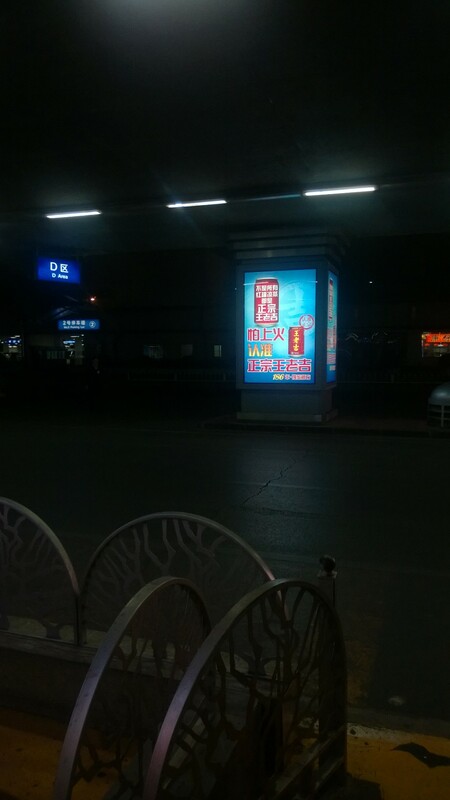 Jiaduobao also apparently has the support of the descendant of the founder. Not only the name, and formula but also the distinctive red can has arguably been imitated. Which one, then, is the most authentic? In the pictures above from the Beijing airport, Jiaduobao is pictured on the left, Wanglaoji on the right, both claiming authenticity. IPR Model Cases: Part of the Long Journey towards IPR Case Law with “Chinese Characteristics”? 1. Eli Lilly v. Huang Mengwei (黄孟炜) – preliminary injunction order for theft of trade secrets (Shanghai). This case adopted provisions in the Civil Procedure Law Revision (effect Jan 1, 2013) making preliminary injunction orders available for all civil remedies. The case involved the misappropriation of trade secret documents by a departing employee of Eli Lilly. This summary is especially important as the case may not otherwise be available to the public due to its containing confidential information. As noted elsewhere in this blog, the US-China Business Council, as well as other organizations and governments have placed pressure on China to improve its trade secret regime, including making provisional remedies available, as they are in other IP-related cases. The Supreme People’s Court also issued a useful study on this topic. By disseminating this case, the court has assisted the public in understanding the basis of preliminary injunction order in trade secret matters and helped to address foreign complaints. 2. Foshan Haitian Flavoring & Food Co., Ltd. (佛山市海天调味食品股份有限公司) v. Foshan Gaoming Weiji Flavoring & Food Co., Ltd. (佛山市高明威极调味食品有限公司) – trademark and unfair competition case. This case in Foshan, Guangdong involved misappropriation of the brand of the Haitian company, “Weiji” (威极). Weiji Company, the infringer, used industrial brine in the production of soy source. When this scandal was exposed, sales of Haitian Company, a household manufacturer of soy source and the lawful holder of the Weiji trademark, dropped dramatically. Weiji Company’s action was determined to be illegal under the unfair competition law and Weiji was obliged to change its company name. Although Haitian failed to prove direct losses, the Court held the infringer to be liable for Haitian’s advertisement fee and other expenditures for eliminating negative effect of the scandal to minimize Haitian’s loss. As in other IP-related cases, an exacerbating factor seems to have been consumer harm. In addition, the case appears to be addressing problems of unfair competition/company name misappropriation, which has often been a difficult area in China’s IP regime. 3. BMW v. Guangzhou Shiji Baochi Apparels Ltd.(广州世纪宝驰服饰实业有限公司) – trademark and unfair competition. According to Article 56 of the PRC Trademark Law, when the exact amount of the infringer’s benefits derived from the infringement and that of the loss caused by such infringement are hard to determine, the current ceiling for the compensation to the trademark owner is 500,000 RMB. However, in the BMW case, the Beijing High People’s Court upheld an award of 2,000,000 RMB in TM infringement damages due to the infringer’s apparent bad faith, the length and benefit of infringement, BMW’s renowned reputation and BMW’s efforts to eliminate the negative effect of this infringement. Moreover, the Court also punished the infringer with a 100,000 RMB civil sanction and gave a judicial suggestion to SAIC (State Administration for Industry and Commerce) for a nation-wide investigation of this infringement. This case is significant in part because of a more active role by the court to address willful infringement, which has been incorporated into China’s newly revised Trademark Law. Moreover, the court is seeking to integrate both civil remedies and administrative/criminal remedies. China’s courts have the authority, which is rarely used and which I have long advocated for, to refer matters to criminal investigation in appropriate circumstances. This case may anticipate a more active role for the courts in addressing willful infringement. 4. Zhuhai Geli Electrical Co., Ltd. (珠海格力电器股份有限公司) v. Guangdong Meidi Refrigeration Equipment Co., Ltd. (广东美的制冷设备有限公司) – presumption of infringement in invention patent litigation. In this case, both parties are renowned Chinese electrical appliance enterprises. Geli claimed that the technological solutions applied in four types of Meidi air conditioners infringed its invention patent. There was no dispute that one of the four types of air condition infringed Geli’s IP right. The defendant failed to distinguish the remaining products with the infringing one. The Guangdong High People’s Court shifted the burden of proof to Meidi and held the remaining three types of Meidi products to be infringing. 5. Ashland Licensing and Intellectual Property LLC (亚什兰许可和知识产权有限公司) v. Beijing Ruishibang Fine Chemistry Technology Co., Ltd.(北京瑞仕邦精细化工技术有限公司) and Wei Xingguang – infringement of manufacturing process. While it is hard to prove infringement of a manufacturing process, Ashland, the patent owner, and its Chinese licensee secured 15,000,000 and 7, 000,000 RMB compensation respectively under the Court-hosted mediation. In this case the patented manufacturing process is a method to produce a certain industrial chemical that has a specific customer group and is impossible to obtain from the open market. The plaintiff had no access to defendants’ manufacturing process. However, considering that the main technical and management staff of defendant companies had had access to the patented manufacturing process as the licensee company’s former employees, Suzhou Intermediate People’s Court determined that the defendants production of that certain chemical constituted infringement based on a burden of proof reversal. 6. Beijing Ruibang Yonghe Technology and Trading Ltd. (北京锐邦涌和科贸有限公司, Ruibang) v. Johnson & Johnson Medical (Shanghai) Ltd. and Johnson & Johnson Medical (China) Ltd. As many observers know, many local IPR tribunals and the SPC IPR Tribunal are also authorized to handle antitrust cases. This minimum resale price maintenance case is highlighted as the first anti-monopoly case under Chinese AML where plaintiff won and the first case in China that involved a vertical monopoly agreement. The plaintiff, a former distributor of J&J, won a bid at a price lower than the minimum resale price fixed by J&J in the distribution agreement. In response to plaintiff’s breach of contract, J&J terminated plaintiff’s distribution rights, cut further supply and refused to renew the distribution agreement. Plaintiff claimed that such price fixing provision violated the AML in respect of a vertical monopoly agreement. The Shanghai High People’s Court held J&J liable for the distributor’s normal revenue losses, 530,000 RMB. The Count held that J&J’s minimum resale price provision excluded or at least restricted competition in relevant market, and that J&J’s actions were monopolistic in nature. For watchers of how American companies fare in litigation in China, this case along with Huawei/Interdigital suggest that foreign companies may be a focus on AML investigations. However the Eli Lilly and Ashland cases, amongst others, also demonstrate increasing success in IPR-related litigation by the same tribunals that hear IPR cases. 7. Jiangxi Yibai Electronic Technology Co., Ltd. (江西亿铂电子科技有限公司) , Yu Zhihong, and others – criminal trade secret case. A 37,000,000 RMB penalty made this case the largest business information trade secret criminal case in China, and may be a harbinger of harsher punishment in this area. In 2011, one the defendants established a manufacturing company called Yibai along with several sales companies. These companies sold $7,659,235.72 of competing products based on misappropriated information from Saina Technology Co., Ltd. The prices and sales channels of these products were all set on the basis of Saina’s operational information that the four defendants obtained through their previous employment at Saina in violation of their non-disclosure duty. Zhuhai Intermediate People’s Court sent the four individual defendants into jail. This case was also marked as a model for Guangdong province’s pilot program of intellectual property cases “three tribunals in one”, where civil, administrative and criminal IP jurisdiction are combined. 8. Zong Liangui and Huang Li’an and 26 other individual defendants – criminal trademark counterfeiting case. In November 2007, the defendants founded a factory to manufacture and sell fake cooking oil with registered trademarks “Jin Long Yu”(金龙鱼) and “Lu Hua”(鲁花). Meanwhile, the factory was also involved in trafficking of counterfeit “Jin Long Yu” and “Luhua” labels. The remaining defendants included workers of this factory, who participated in such production knowingly and obtained illegal earnings, and retailers of the fake cooking oil. [d2] This case in the Henan High People’s Court resulted in a total penalty of 27,040,000 RMB. The case also highlights the importance of piercing the corporate veil in criminal IPR matters, as well as the role of the combined civil/criminal/administrative IP tribunals in the courts. While many of these cases are of great interest in their own rights, there also remains the broader question of what is the significance of the courts publishing cases? For some time there has been interest among academics and business people in the United States in a greater adherence in China to case law. There appears to be some interest in the court as well in having their cases to gain greater legal significance, beyond that of adjudicating the case in dispute. Back in 1981, the National People’s Congress formally delegated the authority to the SPC and the Supreme People’s Procuratorate to promulgate Judicial Interpretations (JI) – to interpret laws in the course of their work. As in traditional civil systems, Chinese courts are not supposed to interpret law; JI’s provide a basis for the courts to interpret laws in the form of a statutory type document, typically based on actual judicial experience. However the tribunals in the SPC have not confined themselves only to JI’s to guide lower courts and help insure greater predictability in decision-making. United States interest in Chinese case law has manifested itself in the “China Guiding Cases Project” underway at Stanford University. The SPC’s guiding cases are intended to guide the courts in judicial decision-making in all adjudicated areas. The advisory board of Stanford’s project includes several IP notables – including Chief Judge Kong of the SPC IPR Tribunal and Chief Judge Rader of the Federal Circuit. 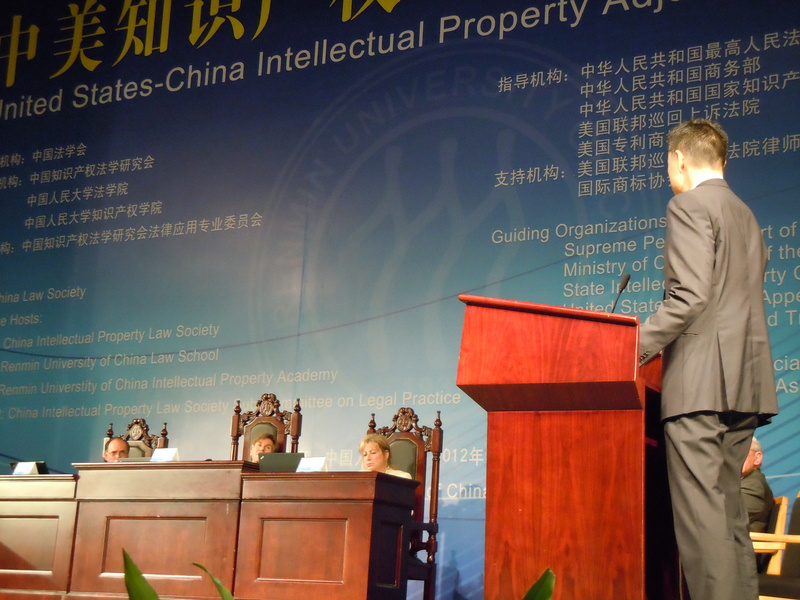 The American Intellectual Property Law Association has a similar interest in model cases, with its China Precedents Project, in which “significant Chinese IP cases will be selected, reviewed, translated, commented on, and posted in a database available to AIPLA members.” However, the application of cases in China’s judicial system remains controversial in light of the limitations places on the court in interpreting the law. It is clear that the use of precedents in China at this time is quite different from the United States. Among the most obvious reasons are that these cases are a small group selected by the courts themselves. In the usual practice of courts, they are not to be cited. Moreover, they are inferior to Judicial Interpretations. The context of the release of these cases may also be important. For example, these cases were released around October 22, by IPR Deputy Chief Judge Jin Kesheng (金克胜) at a press conference. These eight cases follow relatively closely on the heels of model criminal IP cases announced by the Supreme People’s Procuratorate in September. These cases may also be read to suggest that the SPC Civil IPR Tribunal is not to be outdone by the Procuratorate, particularly as they have shown the importance of higher civil damages and punishments, successful experiments in combining civil, administrative and criminal cases in lower level courts, improvements in civil procedures, an enhanced focus for trade secrets, the use of burden of proof reversals for patent protection[d3] , and other issues that are of timely, and even international importance. There are many other types of instructional IPR cases that national and local courts issue have published, typically around the time of IP week (around April 26) each year – leading one to wonder what the relative value of these different kinds of cases are. For example, SPC or its IPR Tribunal now publishes “innovative cases”, “big cases” and “typical cases.” Some local courts also publish similar cases. And of course, there are the SPC’s guiding cases. According to relevant guidance “Senior Judges Chat about the Chinese Characteristics of China’s Case Guidance System” (大法官畅谈中国特色案例指导制度) on the SPC’s website, the legal power of these typical cases is different from that of guiding cases. It is at judges’ discretion to decide whether or not to follow these cases or to take them as reference in trial. These typical cases have no express binding power. Nonetheless, these Senior Judges point out that China is evolving its own approach towards the role of cases in guiding its judiciary. Apart from this positivistic value, the cases may also present an opportunity for particular agencies to spotlight on their own accomplishments, such as the role of combined civil, criminal and administrative tribunals in these cases in these “typical” cases. In light of their positivistic value, the case summary and its instructional nature may be of greater precedential impact than the case itself. If however, their primary function is not to bind other courts. Indeed, if they are not binding, it may be some time before Chinese lawyers are arguing before a judge about whether a particular case is “on point”, or can be “distinguished” like a common law lawyer. Photo: Moot court before the Court of Appeals for the Federal Circuit at US-China Joint Adjudication Conference, May 2012 at Renmin University, Beijing. The attorney representing the USPTO at this joint moot court was former Solicitor, now Judge at the CAFC, Hon. Ray Chen. One of my students, Minying Yu, just had her note “Benefit of the Doubt: Obstacles to Discovery in Claims Against Chinese Counterfeiters.” published in this month’s Fordham Law Review. The note addresses how courts should collect evidence involving Chinese defendants in US-based IP litigation. The note looks at Chinese and US civil procedure, and the use of the Hague Convention to collect evidence. It is available here.